It can be difficult to grasp the scale of ocean plastic pollution, but a temporary exhibition at the Canadian Museum of Nature aims to help the public visualize the problem. For the next two weeks, four shipping containers will sit outside the museum, each containing a different lab environment where visitors can see the sources of waste, learn about the impacts of ocean plastics and what science is doing to mitigate the problem. About 850 shipping containers of plastic waste gets dumped into the oceans each day, amounting to billions of kilograms each year, according to the Ocean Plastics Lab, which is designed to be hands-on and interactive. 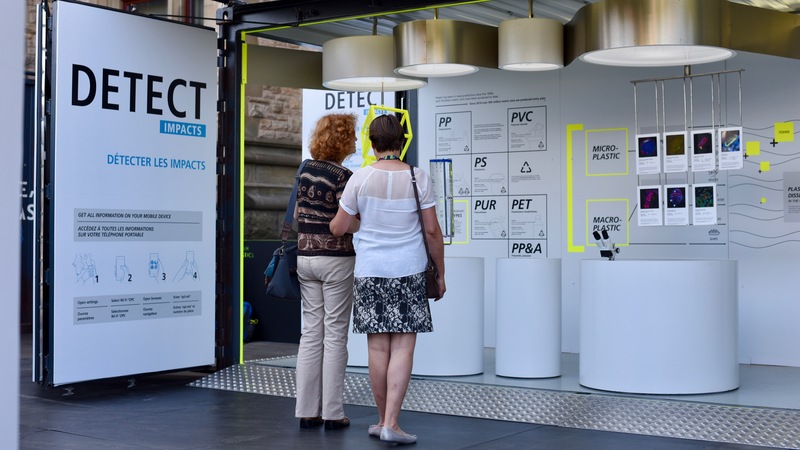 Dr. Julia Schnetzer, scientific coordinator and campaign manager for the Ocean Plastics Lab with the German Marine Research Consortium, is hopeful that the exhibit can inspire change by everyday citizens, as well as people who make environmental policy. Part of the exhibit is a wall of plastic waste – mainly fishing gear – retrieved from the Great Pacific Garbage Patch, which is the world’s largest offshore plastic accumulation zone, located between California and Hawaii. At the June G7 summit in Charlevoix, Que., leaders adopted the G7 Blueprint for Healthy Oceans and Resilient Coastal Communities. Five of the G7 countries and the European Union also agreed to the Ocean Plastics Charter to address plastic waste globally. The Ocean Plastics Lab, developed by the German Federal Ministry of Education and Research, together with the German Marine Research Consortium and the European Commission, has been touring the globe, making stops in Turin, Paris, Brussels, and Washington, D.C.
To coincide with its arrival in Ottawa, the Canadian Museum of Nature announced it is removing plastic straws from its NatureCafé. The Ocean Plastics Lab is open until Aug. 12 and admission is free.